I always like to stay organized so when I spotted the adorable new tote and travel bags from Toss Designs , I knew that I found a beautiful solution. Available in sizes from big to small and a myriad of prints, many of the bags can also be monogrammed. Personalize your bag at Toss Designs when you choose from a variety of monogram styles and fonts for your bag. 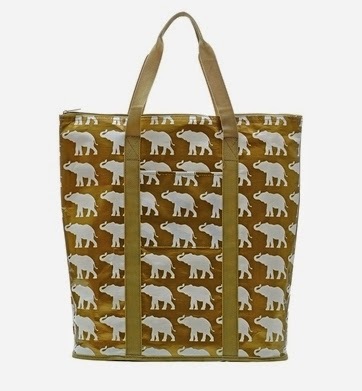 White elephants on a gold background make a stunning print for this versatile tote. 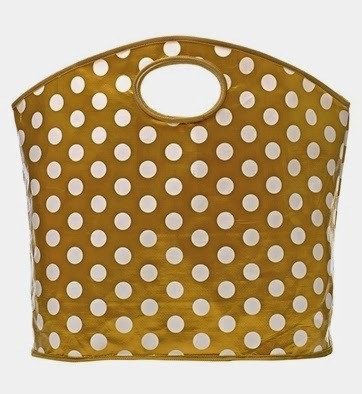 Perfect for the beach or pool, the grab bag tote wipes clean and measures 23 x 19 x 10.5 inches. Travel in style with the Monaco Boarding Bag . 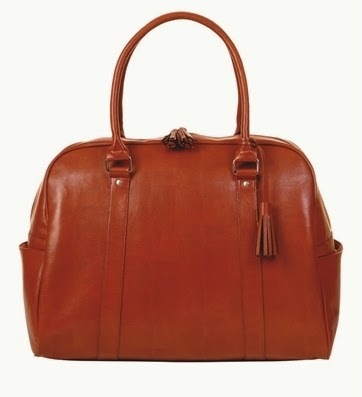 With lots of interior pockets and a padded laptop compartment, it's the perfect carry on bag. Measures 18.5 x 10 x 14. Shop Accessories at Toss Designs for whimsical cups, make up bags, games, and travel accessories. 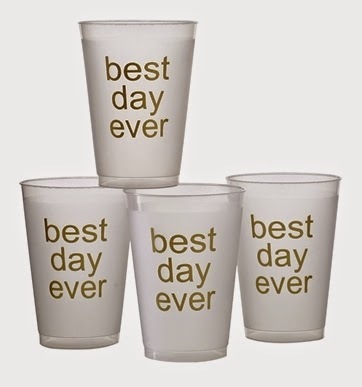 Aren't these shatterproof cups fun? As a special treat, get free shipping on your order with code: FREESHIP on these fabulous items from Toss Designs. Which bag is your favorite? Last week was spirit week at my daughters' school and one of the theme days was twin day. 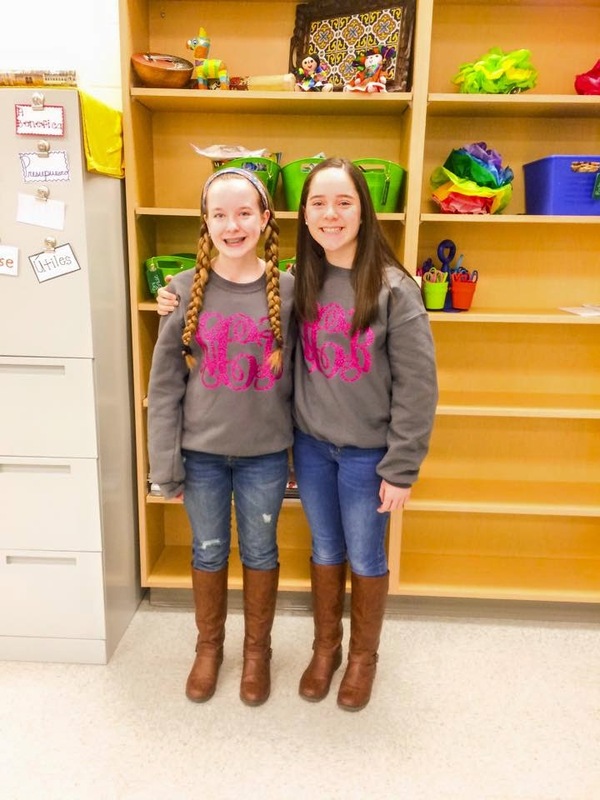 Students dressed alike or wore similar outfits to show their school spirit. Natalia and Alexia love being twins and are best friends. They had so much fun planning their outfit and I love their choice of a monogrammed sweatshirt!